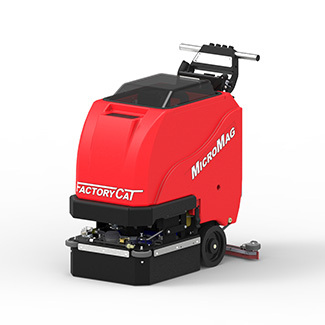 FactoryCat's ultra compact MicroMag scrubbers are designed to clean machine shops, congested lunch rooms, car dealerships and busy fabrication plants. 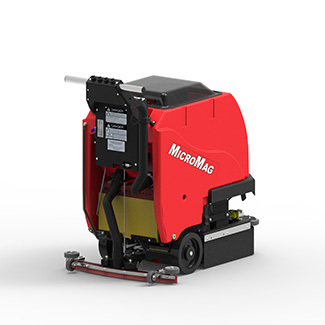 The MircoMag comes equipped with either a Brush-Assist drive or a Traction drive which includes a powerful all-gear transaxle for climbing ramps and max operator ease. 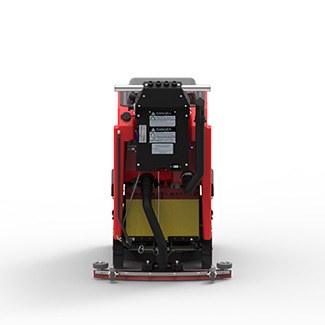 The "Clam Shell" design allows for easy access to batteries, scrub motors, solution filter, and the vacuum filter. 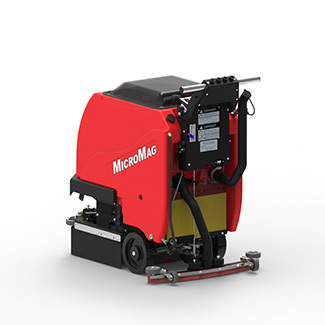 Our Disk machines offer nearly 50% more power than other machines. 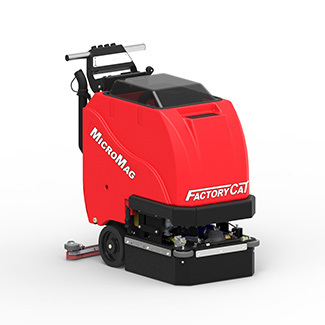 Along with having the ability to scrub your floors, you can also buy seperate pads and equip your machine for Stone Polishing. Factory Cat machines are built to last. Constructed of thick steel, use stainless fastners and powder painted to prevent corrosion. The tanks have extra-thick walls, brass inserts, and "through tubes" for strength. Factory Cat machines are overbuilt to last.